My quest for weekend cooking is to make some bread for this albeit fiction, yet starving family. I can't resist. They need some good bread. They need a whole pot of potato soup. My mom gave me this recipe for bread that uses potato water and I've been excited to try it. Last time I made mashed potatoes I thought ahead and saved the water. Heat potato water, milk, and butter in a saucepan over low heat. As it warms, add honey and salt. When mixture comes to a boil, add rolled oats then remove from heat, and let cool to lukewarm. Transfer to a large mixing bowl. Stir in yeast and let stand for a few minutes until softened. Add bran and wheat germ, and then beat in whole wheat and bread flour. Turn out dough onto a floured surface and knead [my favorite part] until elastic and springy. The dough will be soft and sticky, but resist the urge to add to much extra flour. Turn into a slightly oiled bowl, turning to coat, cover with plastic wrap. Let rise until doubled, about 2 hours. Mix together white sugar, brown sugar, and cinnamon. Turn dough out onto floured surface, and divide into three pieces. Roll each piece into a 12-inch x 8-inch rectangle and sprinkle with 4 T. sugar mix. Take a rectangle and fold the left third to the center and the right and the right third over that, as you'd fold a letter. 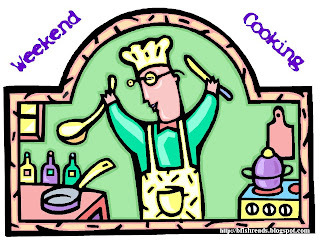 Rotate the dough 90 degrees, and roll out again into a rectangle, sprinkling with another 4 T. of sugar mix. Fold as before. Form dough into a loaf shape, and place seam side down in a greased loaf pan. Repeat with remaining 2 pieces of dough. Cover pans with a cloth, and let rise until doubled, about 1 hour. Preheat oven to 350. Bake for 25 minutes. Remove from oven. lightly cover with foil and bake for another 20 minutes or until loaf makes a hollow sound when removed from the pan and tapped on bottom. Cool at least 15 minutes before slicing. I'm going to try her recipe as well-maybe tomorrow. 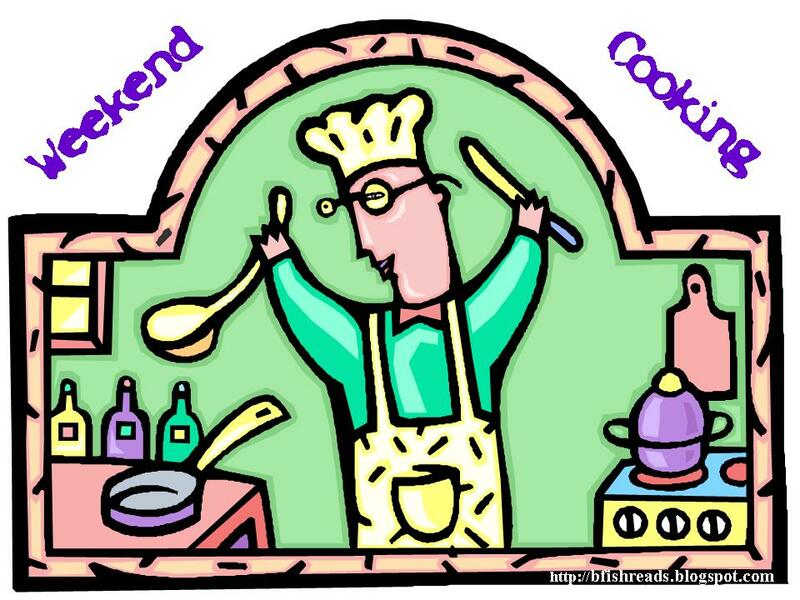 This post is part of Weekend Cooking, hosted by Beth Fish Reads. She reviews $5 Dinner Mom Cookbook; Breakfast and Lunch, which seems like a really useful cookbook! 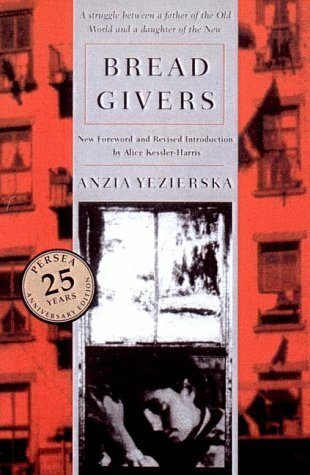 Read Bread Givers-you will enjoy it!